Unsurprisingly, this is a highly-directive array. The joke was commonly made of the 5-kW night signal that its major lobe “went straight down Commerce St. without touching either curb”. 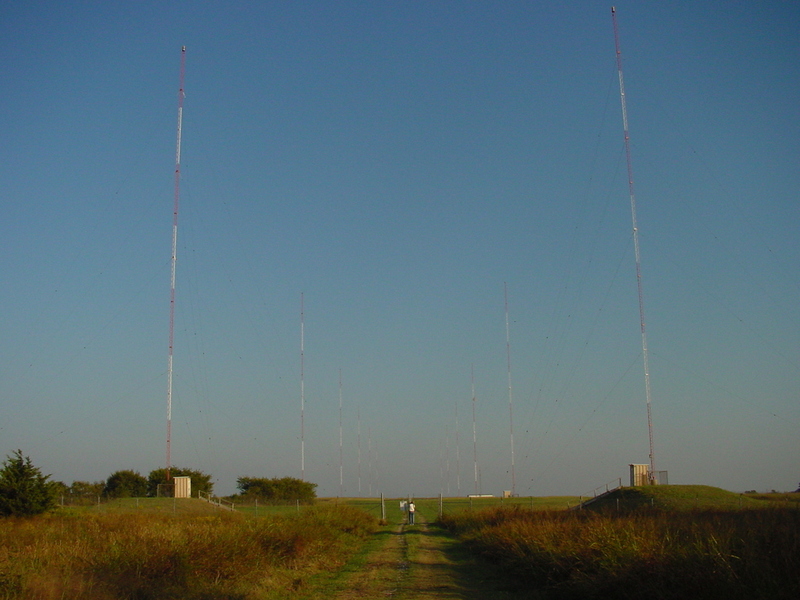 This is a “broadside” configuration; we are looking roughly south, along the major axis of the array, and all of the signal is directed to the west (photo right). Unfortunately, only six of these towers are now lit at night, so this site is no longer as impressive a sight at night as it once was.